That is one ripped rapper right there!!! 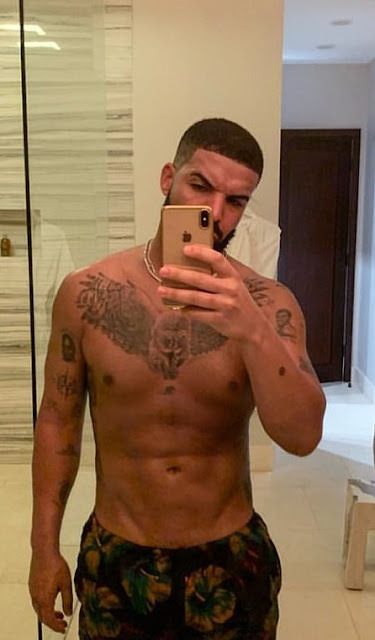 Drake showed off an impressive physique via mirror selfie on Sunday. The 32-year-old is currently enjoying a getaway to the Turks and Caicos Islands in the Bahamas. He shared the shirtless shot with his 51.7million Instagram followers, captioning it with some 'sun's out' emojis. Wearing nothing but a colorful pair of swim shorts, the Canadian heartthrob flaunted his tattooed and very toned torso, as he admired the frame on his phone.